DELAWARE, Ohio – Ohio Wesleyan University today announced its October lineup of public events. 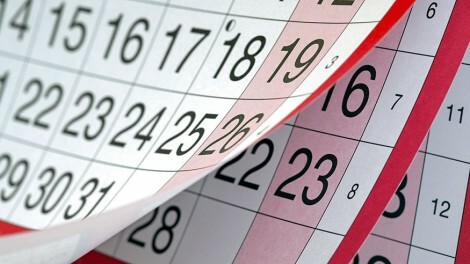 For the latest OWU event information, visit www.owu.edu/calendar or “like” www.facebook.com/OhioWesleyanUniversityNews. For a schedule of Battling Bishops athletics competitions, visit www.battlingbishops.com. Now through Oct. 7 – “What We Make,” an exhibit drawing upon “socially and politically engaged art practices to consider how we build communities that are capable of working together across difference,” at the Richard M. Ross Art Museum, 60 S. Sandusky St., Delaware. In addition to traditional media, the exhibit will incorporate sound and video, and selections from the Interference Archive. “What We Make” is being exhibited as part of the 2018-2019 Sagan National Colloquium*. The artist list includes Doug Ashford, Robby Herbst, Tomashi Jackson, Christine Sun-Kim, Anna Teresa Fernandez, and 2013 OWU alumnus Andrew Wilson. During the academic year, the Ross is open Tuesday, Wednesday, and Friday from 10 a.m. to 5 p.m.; Thursday from 10 a.m. to 9 p.m.; and Sunday from 1 p.m. to 5 p.m. The museum is handicap-accessible and admission is always free. Call (740) 368-3606 or visit www.owu.edu/ross for more information. Now through Nov. 15 – “Blue Light,” featuring photographs of landmarks, landscapes, and locations that reflect the world travels of professional photographer and Ohio Wesleyan alumnus Stephen Donaldson, in the Mowry Alumni Gallery inside Mowry Alumni Center, 16 Rowland Ave., Delaware. Donaldson, Class of 1983, is the author of three published books of photography: “The Berkshires,” “Barns of the Berkshires,” and “Along Route 7: A Journey Through Western New England.” Learn more at www.sgdphoto.com. Mowry Alumni Gallery hours are 8:30 a.m. to 4 p.m. Monday through Friday when OWU’s administrative offices are open. Admission is free. Learn more at www.owu.edu/ross. Oct.1-Dec. 15 – “Stateless,” featuring works by documentary photographer Tariq Tarey, in Gallery 2001 inside Ohio Wesleyan’s Beeghly Library, 43 Rowland Ave., Delaware. A stateless person is someone who, under national laws, does not enjoy citizenship – the legal bond between a government and an individual – in any country. By letting his subjects dress and stand in a manner that suits their sense of themselves, Tarey captures the “self-defined truth that was worth the sacrifice of leaving their home countries.” He will give an artist talk at 7 p.m. Oct. 18 in the library’s second-floor Bayley Room, followed by a reception at 8 p.m. in Gallery 2001. Learn more at www.tariqtarey.com. “Stateless” is presented as part of the 2018-2019 Sagan National Colloquium*. Gallery 2001’s hours coincide with Beeghly Library hours, available online at www.owu.edu/library. Learn more about Ohio Wesleyan’s Ross Art Museum and satellite galleries at www.owu.edu/ross. 6:30 p.m. Oct. 2 – OWU’s Hispanic Film Festival presents a screening and discussion of “The Queen of Spain,” in Room 312 of the R.W. Corns Building, 78 S. Sandusky St., Delaware. After a successful career in Hollywood, Spanish actress Macarena Granada (Penélope Cruz) returns home to play Queen Isabella in an epic period film. Directed by Oscar-winner Fernando Trueba, “The Queen of Spain” features breathtaking costumes, rich visuals, and madcap fun, melding Hollywood’s studio system with fascist-era Spain. (Spanish with English subtitles.) The festival is co-sponsored by Ohio Wesleyan’s Department of Modern Foreign Languages, Film Studies Program, Latin American Studies Program, Global Studies Institute, and VIVA Latinx student organization. Admission is free. For more information, contact faculty member Eva Paris at eeparish@owu.edu. 4:10 p.m. Oct. 3 – Kiese Laymon, M.F.A., professor of English and African American Studies at the University of Mississippi, presents “What’s the Point in Lying if You Don’t Want to Get Caught?” Laymon will speak in the Bayley Room on the second floor of Beeghly Library, 43 Rowland Ave., Delaware. He is the author of the novel “Long Division” and a collection of essays titled “How to Slowly Kill Yourself and Others in America.” During his presentation, Laymon will discuss the intersection of writing and activism from his personal experiences. His talk is presented by the Sagan National Colloquium* and the Department of English’s Poets and Writers Series. Admission is free. Learn more about Laymon at http://www.kieselaymon.com and more about the colloquium at www.owu.edu/snc. 7 p.m. Oct. 3 – Screening and discussion of “Resilience: The Biology of Stress & The Science of Hope,” a documentary that explores how treating children for toxic stress can improve their lives. The two-hour event will be held in Room 312 of Ohio Wesleyan’s R.W. Corns Building, 78 S. Sandusky St., Delaware. Created by director-producer James Redford and producer-writer-editor Karen Pritzker, “Resilience” is described by one reviewer as “required viewing for counselors, teachers, school leaders, medical teachers, and open-minded parents that want to address what shouldn’t be bottled up any longer.” This event is sponsored by Ohio Wesleyan’s Department of Education in collaboration with A Good Start, a nonprofit organization that provides a literacy rich summer experience for children in two Columbus, Ohio, neighborhoods. Funding for the screening is provided by the Linton Education Fund. Admission is free, but pre-registration is requested via Eventbrite at www.eventbrite.com. Learn more about the film at https://kpjrfilms.co/resilience, more about A Good Start at www.agoodstartmaynard.com, and more about the OWU Department of Education at www.owu.edu/education. 4:15 p.m. Oct. 4 – Ribbon-cutting and tours of the new Delaware Entrepreneurial Center at Ohio Wesleyan University, 70 S. Sandusky St., Delaware. Following the ribbon-cutting, everyone will be invited to tour the facility and enjoy light refreshments. The center, a business accelerator and education resource, is a collaboration of Ohio Wesleyan, Delaware County, and the City of Delaware. Learn more about the center at www.owu.edu/delaware-entrepreneurial-center. 7:30 p.m. Oct. 4 – Shadman Zafar, Citi’s global consumer technology head for digital and a 1994 Ohio Wesleyan graduate, discusses “Rules of Engagement: Guide for succeeding in Corporate America,” in the Benes Rooms of Hamilton-Williams Campus Center, 40 Rowland Ave., Delaware. Citi is the world’s leading global bank, handling approximately 200 million customer accounts and conducting business in more than 160 countries and jurisdictions. Zafar, a mathematics and computer science major at OWU, is active in technology research groups nationally and internationally, and has researched neural networks as well as the sociological impacts of emerging technology trends on contemporary society. Zafar’s presentation is at Ohio Wesleyan’s 2018 Robert L. Milligan Leaders in Business Lecture, organized by the Woltemade Center for Economics, Business and Entrepreneurship. Admission is free. Learn more at www.owu.edu/woltemade. 8 p.m. Oct. 4-6 and 2 p.m. Oct. 7 – “Cloud 9” by Caryl Churchill, directed by OWU senior Ares Harper of Columbus, Ohio. Gender and power face-off in this masterful comedy in which people’s disjointed identities relate to their lack of autonomy. Join these sexually repressed characters on a journey that transcends time and space as they fight to find their place in a swirling world of self-discovery. Contains adult themes and strong language. “Cloud 9,” presented in support of OWU’s 2018-2019 Sagan National Colloquium*, will be performed on the Main Stage inside Ohio Wesleyan’s Chappelear Drama Center, 45 Rowland Ave., Delaware. Tickets are $10 for general admission and $5 for senior citizens, Ohio Wesleyan employees, and non-OWU students. Admission is free for Ohio Wesleyan students with a valid university ID. To reserve tickets, call the box office at (740) 368-3855. For more information, visit www.owu.edu/TheatreAndDance. 8 p.m. Oct. 5, 12, 19, and 26 – Friday evening programs at Ohio Wesleyan’s Perkins Observatory, 3199 Columbus Pike (U.S. 23), Delaware. Content varies based on sky conditions, but may include a planetarium show, observatory tours, and stargazing with the 32-inch Schottland Telescope. Tickets are $10 in advance and $12 at the door. Reserve tickets by calling (740) 363-1257. Learn more at www.owu.edu/perkins. Oct. 18-Dec. 13 – “Culinary Roots/Migratory Routes,” using art related to food production and consumption to present narratives of nation, migration, and labor, at the Richard M. Ross Art Museum, 60 S. Sandusky St., Delaware. The artworks display what we eat as not just a source of nourishment, but also a force that creates, dissolves, and reforms communities as immigrants both preserve and lose the taste of home. Presented as part of the 2018-2019 Sagan National Colloquium*, the exhibit is curated by Nancy Comorau, Ph.D., associate professor of English, and student curatorial-assistant Anna Davies, a senior from St. Clairsville, Ohio. It includes pieces from the Ross’s permanent collection and loans from artists, The Ohio State University Libraries, Columbus Museum of Art, and Pizzuti Galleries. It will feature a curator-led tour at 4 p.m. followed by a public reception from 4:30 p.m. to 6 p.m. Oct. 25. During the academic year, the Ross is open Tuesday, Wednesday, and Friday from 10 a.m. to 5 p.m.; Thursday from 10 a.m. to 9 p.m.; and Sunday from 1 p.m. to 5 p.m. The museum is handicap-accessible and admission is always free. Call (740) 368-3606 or visit www.owu.edu/ross for more information. Oct.18-Dec. 13 – “Double Take: Ambiguity in the Photograph,” featuring images in which the expectation of a photograph’s accuracy conflicts with its ambiguity, at the Richard M. Ross Art Museum, 60 S. Sandusky St., Delaware. Photographs became a ubiquitous form of documentation because they created accurate and detailed reproductions of life. However, the detail of these images frequently belies their ability to fully explain a situation, an experience, or a story. Curated by Jeff Nilan, professor of photography, this exhibit will feature a curator-led tour at 4 p.m. followed by a public reception from 4:30 p.m. to 6 p.m. Oct. 25. During the academic year, the Ross is open Tuesday, Wednesday, and Friday from 10 a.m. to 5 p.m.; Thursday from 10 a.m. to 9 p.m.; and Sunday from 1 p.m. to 5 p.m. The museum is handicap-accessible and admission is always free. Call (740) 368-3606 or visit www.owu.edu/ross for more information. 8 p.m. Oct. 19-20 – Ohio Wesleyan’s “Fall Senior Project Production,” featuring “The Brothers Grimm Spectaculathon” by Don Zolidis. Directed by senior Jack Riter of Lancaster, Ohio, and featuring senior Doris Ottman of Laurel Springs, New Jersey. Imagine what it would be like to take all of your favorite fairytales and smash them together – this is it! The performance will be held in the Studio Theatre inside Chappelear Drama Center, 45 Rowland Ave., Delaware. Tickets are free but required because of limited seating. To reserve tickets, call the box office at (740) 368-3855. For more information, visit www.owu.edu/TheatreAndDance. 7 p.m. Oct. 23 – Avant-garde Mexican theater company Efe Tres Teatro presents “El Merolico,” in Gray Chapel inside University Hall, 61 S. Sandusky St., Delaware. The performance is based on three Cervantes plays: “El viejo celoso” (“The Jealous Old Man”) “El retablo de las maravillas” (“The Puppet Show of Wonders”), and “La cueva de Salamanca” (“The Cave of Salamanca”). The performance will be in Spanish and will be followed by a question-and-answer session. Formed 2012, Efe Tres Teatro seeks to “playfully demonstrate that the classics, especially those of the baroque era, still have much to show us.” Learn more about Efe Tres Teatro at www.facebook.com/EFETRESteatro. The event is hosted by Ohio Wesleyan’s Department of Modern Foreign Languages and made possible by an OWU Theory-to-Practice Grant. Admission is free. For more information, contact faculty member Glenda Nieto-Cuebas, Ph.D., at gynietoc@owu.edu. 8 p.m. Oct. 23 – Guest recital by PANdemonium4 Flute Quartet, in Jemison Auditorium inside Sanborn Hall, 23 Elizabeth St., Delaware. Founded in 2016, this Ohio-based quartet of teacher-performer professionals includes Kimberlee Goodman, Lindsey Goodman, Lisa Jelle, and Alison Brown Sincoff. Admission is free. Learn more about the group at www.facebook.com/PANdemonium4FluteQuartet and more about Ohio Wesleyan music events at www.owu.edu/music. Noon Oct. 25 – Ohio Poet Laureate Dave Lucas, Ph.D., presents a poetry reading, in the Bayley Room on the second floor of OWU’s Beeghly Library, 43 Rowland Ave., Delaware. His first book, “Weather,” earned the 2012 Ohioana Book Award in Poetry. His poems also are anthologized in “The Bedford Introduction to Literature” and “Best New Poets 2005,” among other publications. Lucas, a native Clevelander, received his doctorate in English Language and Literature from the University of Michigan. His reading is part of Ohio Wesleyan’s Poets and Writers Series sponsored by the OWU Department of English. Admission is free. Learn more about Lucas at http://oac.ohio.gov/poetlaureate and more about the Department of English at www.owu.english. 6:30 p.m. Oct. 25 – OWU’s Hispanic Film Festival presents a screening and discussion of “Summer 1993,” in Room 312 of the R.W. Corns Building, 78 S. Sandusky St., Delaware. Following the death of her parents to AIDS, 6-year-old Frida is forced to move from bustling Barcelona to the Catalan provinces to live with her aunt and uncle, her new legal guardians. Unfortunately, the transition is not easy for Frida. Confronting the adult matters of death and religion through the eyes of a child, the film captures what it feels like to grow up in an adult world. (Catalán with English subtitles.) The festival is co-sponsored by Ohio Wesleyan’s Department of Modern Foreign Languages, Film Studies Program, Latin American Studies Program, Global Studies Institute, and VIVA Latinx student organization. Admission is free. For more information, contact faculty member Eva Paris at eeparish@owu.edu. 6 p.m. Oct. 26 – The Sagan National Colloquium* presents archaeologist William Lipe, Ph.D., discussing “Rock Art, Cliff Dwellings, and the Battle Over Bears Ears,” in Benes Room B of Hamilton-Williams Campus Center, 40 Rowland Ave., Delaware. President Barack Obama established the Bears Ears National Monument in 2016 as a 1.35-million-acre tract in southeastern Utah. In 2017, the Trump Administration reduced it to two smaller monuments. Lipe, a retired Yale University professor, has conducted research in the Bears Ears area for more than 50 years. He will show examples of its rock art and architectural treasures and discuss its scholarly and public importance. Admission is free. Learn more about Lipe at https://anthro.wsu.edu/faculty-and-staff/william-d-lipe and more about the colloquium at www.owu.edu.snc. 8 p.m. Oct. 27 – “How to Be a Respectable Junkie” by Greg Vovos, starring Christopher M. Bohan. This guest artist event provides a humorous, heartbreaking, and ultimately hopeful look into the nation’s opioid crisis with an in-depth look into the troubled soul of a man caught in heroin’s deadly grip. Based on a true story. Contains depictions of drug use and adult language. The performance, presented in support of OWU’s 2018-2019 Sagan National Colloquium*, will be held in the Studio Theatre inside Chappelear Drama Center, 45 Rowland Ave., Delaware, and conclude with a post-show discussion. Tickets are free but required because of limited seating. To reserve tickets, call the box office after Oct. 22 at (740) 368-3855. For more information, visit www.owu.edu/TheatreAndDance. 3:15 p.m. Oct. 28 – Faculty recital by Youmee Kim, piano, in Jemison Auditorium inside Sanborn Hall, 23 Elizabeth St., Delaware. Admission is free. Learn more at www.owu.edu/music. 8 p.m. Oct. 30 – Ohio Wesleyan Chamber Orchestra concert, conducted by faculty member Lucy Ginther, in Gray Chapel inside University Hall, 61 S. Sandusky St., Delaware. The concert will feature classical standards: Haydn’s “Hornsignal Symphony,” Brahms’ “Academic Festival Overture,” and St. Saens’ “Danse Macabre.” Admission is free. Learn more at www.owu.edu/music. Founded in 1984, Ohio Wesleyan’s Sagan National Colloquium seeks annually to address in-depth an issue of national or global importance. For 2018-2019, the colloquium will explore “Art and Engagement” under the direction of Erin Fletcher, director of OWU’s Richard M. Ross Art Museum. Featuring lectures, art exhibits, performances, and more, the colloquium will examine the potential of art to help the world to build greater connections, understanding, and frameworks in response to social division and challenges. Learn more at www.owu.edu/snc.